A brand-new book in the Antiques & Collectibles series by New York Times bestselling author Ellery Adams and Parker Riggs. 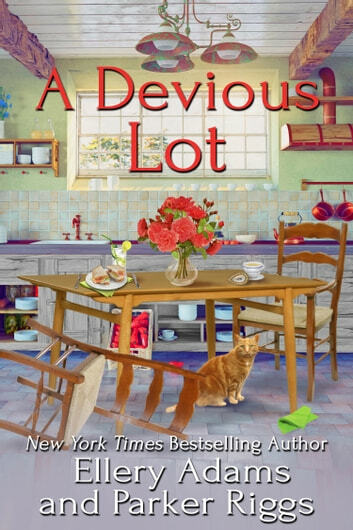 Molly Appleby has promised her new husband that their honeymoon will be trouble-free—specifically, no sleuthing. Unfortunately, trouble seems to follow Molly wherever she goes, even to England. After a glorious week in London, the newlyweds have escaped the city to visit Molly’s great-aunt in the quaint English village of Marlow Crossing. The setting is idyllic, as beautiful and serene as Molly could hope for, but as the talented reporter and senior staff writer for Collector’s Weekly knows, appearances can be deceiving. 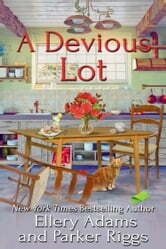 And when a local woman turns up poisoned to death, Molly’s convinced there’s more to the story than meets the eye. Putting her honeymoon on hold, Molly agrees to help local inspector Devon Boyle with the case, especially since the sleepy village presents such a small number of suspects. But when two of them go missing and the tragic death of another woman comes to light, Molly realizes she’s up against a much more sinister criminal than she thought. Untangling a web of lies and deceit as she searches for a motive and a murderer won’t be easy, but Molly’s determined to put all of her detective skills to use to catch a killer before her trip, and her life, are brought to a sudden end. Parker Riggs is the author of the mystery novels A Treacherous Trader, A Devious Lot, A Killer Keepsake (all with Ellery Adams), and Finding Jessica. She lives in New Hampshire with her husband. Molly is once again in the thick of a great who dunnit. Couldnt put it down .loved the story within a story .